I’m getting a little anxious right around this time of the year because it’s only 2 weeks away from Photoshop World in Las Vegas. 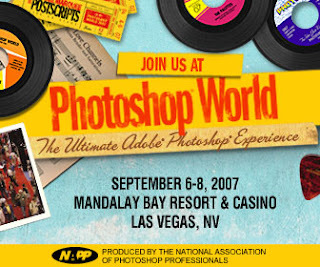 I always have a great time at Photoshop World ever since March 2004 in San Francisco. I learned so much every time I leave Photoshop World and it had helped me tremendously with my photography business. I learned to streamline my workflow, faster post production and raw file conversion, and image enhancement. Scott Kelby and his crew of knowledgeable instructors always put on a great event. Go to their website to get more details. Stay tuned and I will write more details regarding this event. Epson Stylus 3800 Printer! Yeah Baby!